B.C. 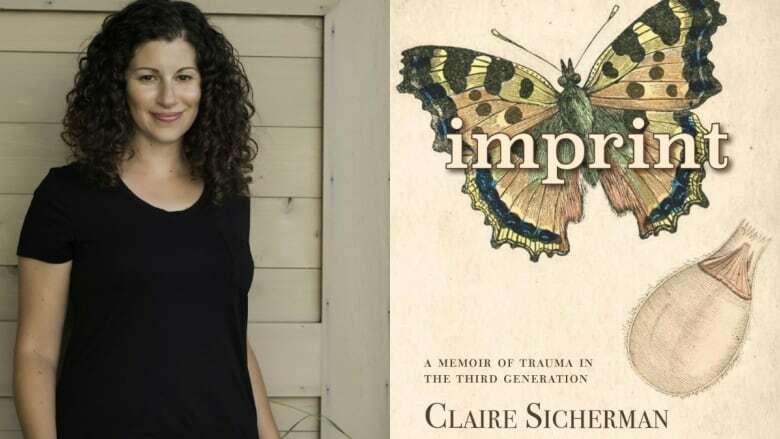 author Claire Sicherman's new book, Imprint: A Memoir of Trauma in the Third Generation, details the struggles of her family during the Holocaust and her own struggles with transgenerational trauma. When Claire Sicherman's grandmother died, she didn't know what to do with the grief, so she began to write. As she wrote, the Salt Spring, B.C. author says she began hearing the voices of her ancestors "just beneath her skin." "I wouldn't say I was surprised, because I've always carried this heaviness with me," Sicherman said in a conversation with host Sheryl MacKay during CBC's North by Northwest. Sicherman's maternal great-grandparents died during the Holocaust, which saw millions of European Jews murdered by Nazis during the Second World War. As Sicherman wrote, she realized she was experiencing third-generation trauma that she had been carrying in her body. Psychologists first became aware of transgenerational trauma during the 1960s when the children of Holocaust survivors started seeking psychiatric treatment. Through complex post-traumatic stress disorder mechanisms, trauma survivors can physically pass that pain onto future generations. Sicherman's writing ended up as an account of her ancestor's experiences, detailed in her new book Imprint: A Memoir of Trauma in the Third Generation. "I began exploring their voices on the page," said Sicherman. "It really started telling my grandmother's and grandfather's stories." "It became a way of honouring and remembering them. And also a way for me to tell my son Ben about his own birth story." While writing Imprint, Sicherman researched her family extensively, and learned more grim details about various relatives. Perhaps the most harrowing is her grandparents' story of being carted around to different concentration camps. At the time of liberation by the Allies, her grandmother was sick with typhus and her grandfather with tuberculosis. Afterwards, through the Red Cross, her grandmother learned her husband was still alive. "They were walking ghosts," said Sicherman. "They cobbled a life together by pushing the horrors and their grief down." Sicherman's mother was born in 1949 in Soviet-controlled Czechoslovakia. For safety reasons, Judaism was not a part of her life. Her family moved to Canada shortly after. It wasn't until Sicherman's adulthood that she learned the cause of her grandfather's death was suicide. "There was so much shame around it, my grandmother didn't want anybody to know," said Sicherman. "So my mom had this burden of keeping this secret." Sicherman grew up knowing her family had gone through tribulations — her grandmother would tell the story of the tattoo she had been assigned at Auschwitz — but she never knew the extent of the horror until doing the research for Imprint. A large portion of the book is also made up of letters Sicherman wrote to her son. One of the first letters details the complications of his birth, when his umbilical cord was wrapped around his neck. He survived, however the word "asphyxiation" was written on his hospital report. Asphyxiation had been the cause of death for many members of Sicherman's family during the war. "That link for me was really big," she said. "He was born without breath." Through writing Imprint, Sicherman said she was able to form a new narrative for her family. Instead of being weighed down by mental images of smoke stacks, prison uniforms and armed guards, she was able to celebrate her family's saga as one of survival and the continuity of life.